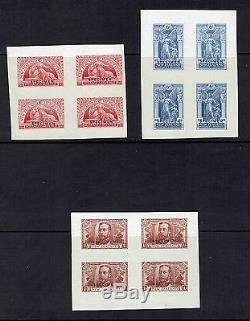 New Zealand 1920 Victory 3 blocks of four specimen proofs lmm (some tone spots) 1944 Health proof on card (wrinkles) 1948 Health proofs um, 1951 Health proofs on card & 1961 Health proofs on card. 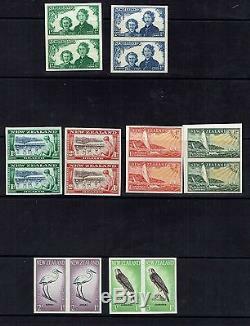 The item "NEW ZEALAND COLLECTION OF PROOFS UM/LMM" is in sale since Monday, May 01, 2017. This item is in the category "Stamps\Australia & Oceania\New Zealand". The seller is "daveba070" and is located in Littlehampton.